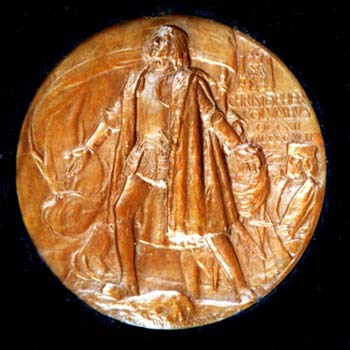 This is the Medal that Saint-Gaudens was commissioned to create for the 1892 Worlds Colombian Exposition in Chicago. This medal is in perfect original condition with its original metal two sided display case, also in original perfect condition. This is a bas relief casting, a style that Saint-Gaudens was famous for.